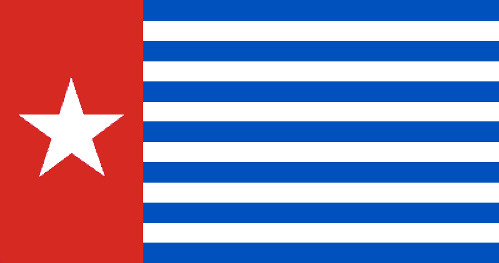 On 23 January 2014, only days after a report preparing for a Partnership and Cooperation Agreement between the EU and Indonesia was adopted, the European Parliament’s Subcommittee for Human Rights addressed the human rights situation in West Papua, particularly with regard to freedom of expression. Today [23 January 2014] the human rights subcommittee of the EU parliament in Brussels held a hearing on human rights abuses in West Papua, Indonesia. During the one hour meeting, the chair of the hearing gave an overview of human rights reports they had received in preparation for the meeting. A large group of national and international human rights NGOs had sent letters to the subcommittee’s members. Victor Mambor from the Alliance of Independent Journalists (AJI) – Jayapura, listed cases of attacks against journalists in Papua and called on the EU to ensure the protection of media freedom in Papua. “There are still double standards in Papua and Indonesia when it comes to media freedom and the application of the press law,” Mambor explained. AJI had documented 22 cases of threats and violence against journalists in Papua in 2013. Members of the European Parliament stressed that the situation in West Papua had too long been ignored in discussions and called for closer involvement. Earlier this week, the EU parliaments committee on foreign affairs adopted a report to prepare a partnership and cooperation agreement between Indonesia and the EU. Member of the European Parliament Ana-Maria Gomes emphasized that this agreement should be the framework for the parliament to look further into the conditions in West Papua. In June 2013, the UN Human Rights Committee in Geneva reviewed Indonesia’s implementation of civil and political rights and urged Indonesia to lift the restrictions on freedom of expression and opinion in Papua. Zely Ariane from the National Papua Solidarity in Jakarta explained that “the Indonesian government should admit that the state of human rights in Papua is serious.” She called on the EU to put pressure on the Indonesian government to continue their commitment to conduct a dialogue with Papua.